Among the most frequent causes of disability are diseases of locomotive organs, circulatory system and neurological illnesses. 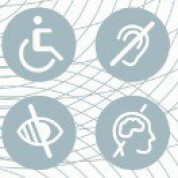 The comparatively lower percentage of disabilities related to hearing and eyesight organs impairment, mental illness and mental retardation in the population of disabled people is a problem that still affects lives of thousands of people in need for a special attention in education, in labour market and in everyday life. Unfortunately, disabled persons are still less educated than the rest of society. However, in recent years there has been a gradual increase in number of disabled persons aged 16 and more with at least secondary education. The economic and social situation of each group, including disabled people is linked to their situation in the labour market. The most recent data collected in the National Census of Population and Housing (Narodowy Spis Powszechny) conducted in 2011 indicate that there are 4.7 million disabled people in Poland (4,697,500). It means that disabled people constitute 12.2% of population in Poland, in relation to 14.3% in 2002 (according to the census conducted in 2002). Almost 46.1% of all disabled people are men in relation to 53.9% of women but these figures might differ due to the underestimation of collected data.